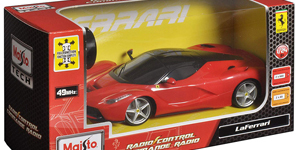 Mobile phones, health promotion… and Ferrari cars! Hepatitis NSW visits Dubbo for the Knockout! EC Australia – “Eliminating Hepatitis C” Australia – was launched in August at Parliament House in Canberra by the federal health minister, the Hon Greg Hunt MP, in partnership with the Paul Ramsay Foundation. The project is a multi-million dollar targeted, national response to the serious decline in the uptake by Australians of highly effective drugs to cure hepatitis C.
Since new, highly effective hep C treatments were listed on the PBS in March 2016, tens of thousands people people living with hepatitis C across Australia have been treated. However, the number of people commencing treatment is falling, putting Australia at risk of missing its elimination targets. Over 170,000 Australians are yet to start these life saving hepatitis C treatment. Ensure that 15,000 Australians with hep C are treated and cured of their infection annually. Ensure that people identified with cirrhosis related to hepatitis C infection are treated and cured, and regularly reviewed to monitor for liver cancer. Establish a national collaborative framework to facilitate a coordinated response to the elimination of hepatitis C as a public health threat from Australia by 2030. 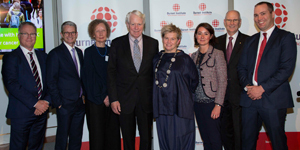 EC Australia Chief Investigator and Burnet Deputy Director, Professor Margaret Hellard said it’s critical for Australians living with hepatitis C to be tested, treated and cured to stop the transmission of new infections and hepatitis C-related deaths. It is vital that high treatment numbers are maintained to stop new hepatitis C transmissions and hepatitis C-related deaths. Working to prevent new hepatitis C transmissions. How can Hepatitis NSW better engage with people and let them know about new hepatitis C cures and other important info? Have you ever been on a bus or train and noticed how almost everyone else is using mobile phones? 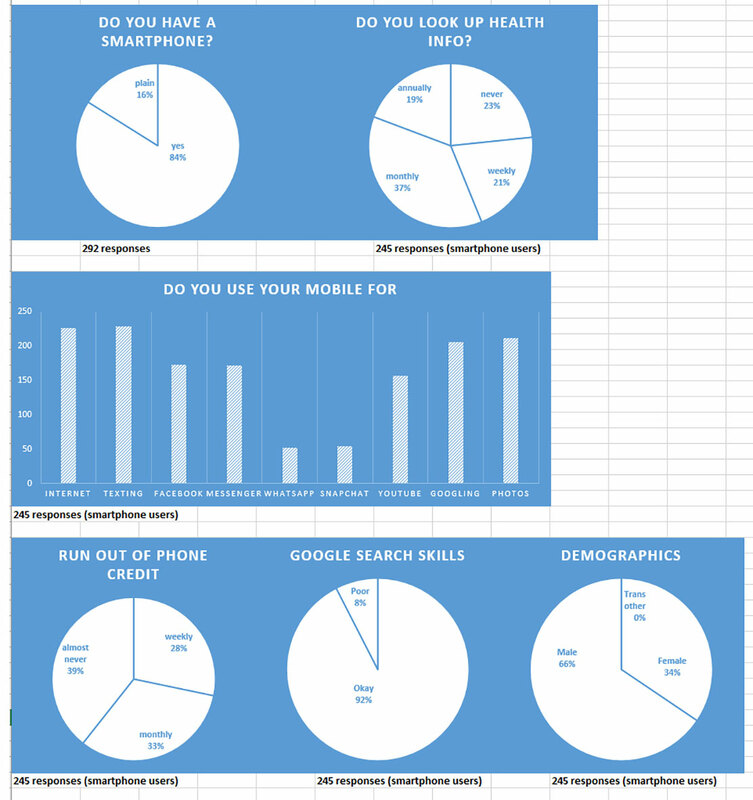 With this in mind, two months ago, we surveyed 250 clients of five needle and syringe program outlets and asked about how they use their mobile phone to access information. David and Wendy from the Penrith area. Did we discover better ways to engage with people? Absolutely! Click here to see an overview of the responses. We found most people use their phones for texting and to play with images. This has inspired us to try developing image-based health promotion products that people can potentially share within their networks. More news on this to come. Many thanks to Good360 for supplying the model cars. 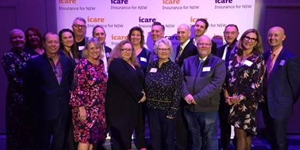 The “Harm Reduction Strategies in NSW Prisons: Safety for All” initiative was a finalist in the 2018 iCare Awards. Safety for All was established by Justice Health and Forensic Mental Health Network’s Population Health team, in collaboration with Corrective Services NSW. Outcomes of the initiative to-date have included a more consistent and collaborative delivery of harm reduction initiatives in line with policy across the system. Hepatitis NSW and NUAA, and several academic researchers, are also partners in the program. The iCare Awards, presented by insurers iCare, recognise standout performers in NSW Government risk management and in work, health and safety who are delivering positive outcomes for the people, businesses and agencies of NSW. While the award ultimately went to other finalists (congratulations to the Museum of Applied Arts and Sciences and to South Western Sydney Local Health District) the efforts of everyone involved in this important initiative were highly commended. This weekend, thousands of people are heading to the Western-NSW town of Dubbo for the 48th Koori Knockout – a massive showcase for hundreds of talented Aboriginal rugby league players. A huge sporting event, it also offers an opportunity to promote health messages to Aboriginal communities in the town from across the state. This year, Hepatitis NSW – in partnership with SWOP and ACON – are bronze sponsors for this hugely important event, and Sandy and Kerry from Hepatitis NSW will be at a stall along with SWOP and ACON staff. 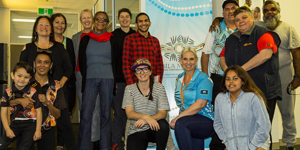 Thursday 28 September also saw everyone involved in the Bila Muuji Aboriginal Health Service Yarnin’ Day at Dubbo Neighbourhood Centre (see photo), with health yarning circles, sexual health tests, blood screenings, and resources and giveaways. It was a great day! We look forward to meeting and talking with people at the Knockout and making a significant contribution to passing hepatitis knowledge – both hep B and hep C – for Aboriginal people and their communities.